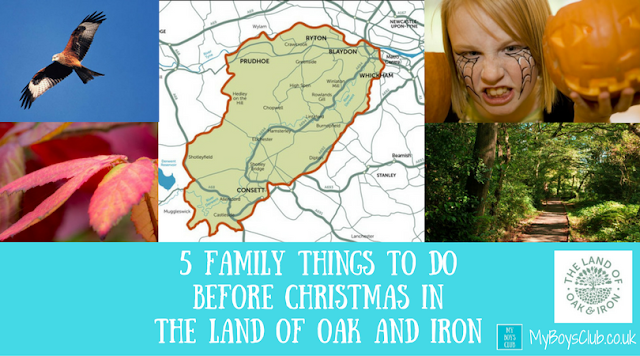 It seems a long time ago now, but I actually grew up in a place that is now named the Land of Oak and Iron. Sounds really cool and mystical, doesn’t it? And actually, it is. It’s a place that is bursting with acres of beautiful natural woodland, rich in wildlife, and also has a whole industrial and cultural heritage to celebrate. Plus, it is less than 30 minutes away from Newcastle, Durham and Sunderland. So before Christmas why not try pumpkin carving, follow the red kite trail, find woodland sculptures, discover the power of water and choose your Christmas tree in the Derwent Valley. The Land of Oak and Iron has so many interesting places to discover. From historic places to find out about the industry that shaped today’s landscape to countryside and woodland to explore by bike, foot or horse - all with superb parking, cafés, facilities, access and events, too, making it the perfect destination for a day out. 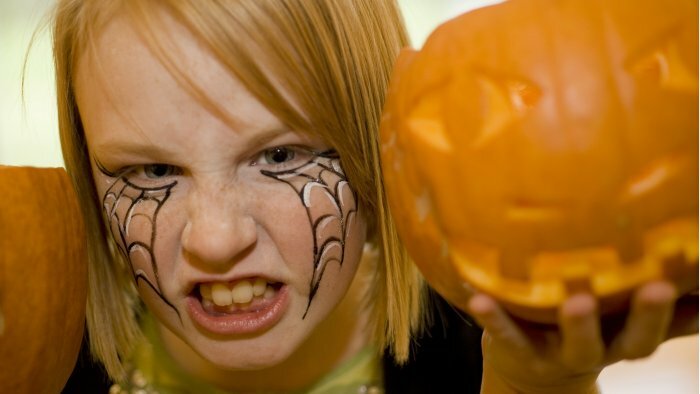 Hallowe'en wouldn't be complete without getting to grips with a pumpkin and in the Land of Oak and Iron, you can do this in at least two places. For three days of the half-term Gibside is hosting pumpkin carving where you can get creative in the stable block where the pumpkin team will help you prepare your pumpkin and if you would like it, help make your design come to life. At The Lodge in Blackhill & Consett Park on Tuesday 24th October you’ll find out that pumpkins aren't just a decoration to be scooped out and thrown away after Hallowe'en but are actually a tasty vegetable. At the Pumpkin In The Park family event, you can try delicious pumpkin soup, pick up some recipe cards and find out about how to reduce your food waste and get composting, as well as get to carve a pumpkin. The red kite is a magnificent, big and beautiful bird of prey, with a distinctively forked tail; russet plumage and a wingspan which measures more than five and a half feet. Between 2004 and 2006 ninety-four red kites were released into the lower Derwent Valley as part of the Northern Kites Project. 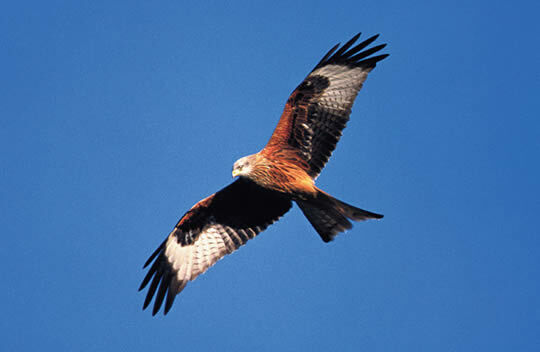 Kites began to breed in the northeast in 2006 after an absence of 170 years. The Red Kite Trail is a circular route starting and finishing at Derwenthaugh Park car park at Winlaton Mill and is identified by Red Kite Trail waymarkers and can be walked either in two stages over two days or as a longer walk in one day Red kites can be seen throughout the lower Derwent Valley along with many other beautiful and sometimes rare wildlife. A range of visitor facilities such as toilets, pubs and information centres are located along the Red Kite Trail. 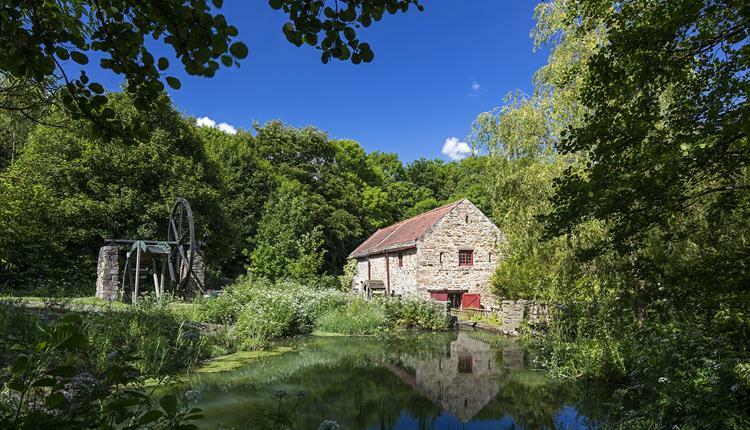 Path Head Water Mill is a hidden gem which includes a restored working water wheel, set in beautiful surroundings adjacent to the Blaydon Burn Nature Reserve. 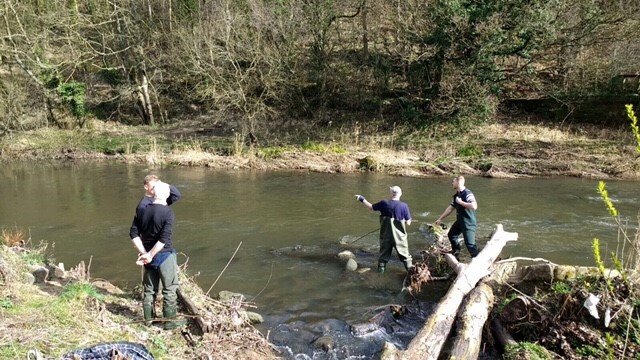 Open all year round for visitors, The Mill is located just 10 minutes from the Metrocentre, in a tranquil dell, adjacent to meadows and wooded walks with picnic facilities and a safe garden area. Escape the city and enjoy the views and wildlife whilst appreciating the past. At this time of year, it is open from 11am – 3pm but closed on Mondays and Christmas week. A great day out for the whole family, you can see how water power is harnessed to work machinery, find out why water being lifted uphill makes a knocking sound or become part of a sundial. Explore the gardens, chill out on the island and count the many different names on the brick path. 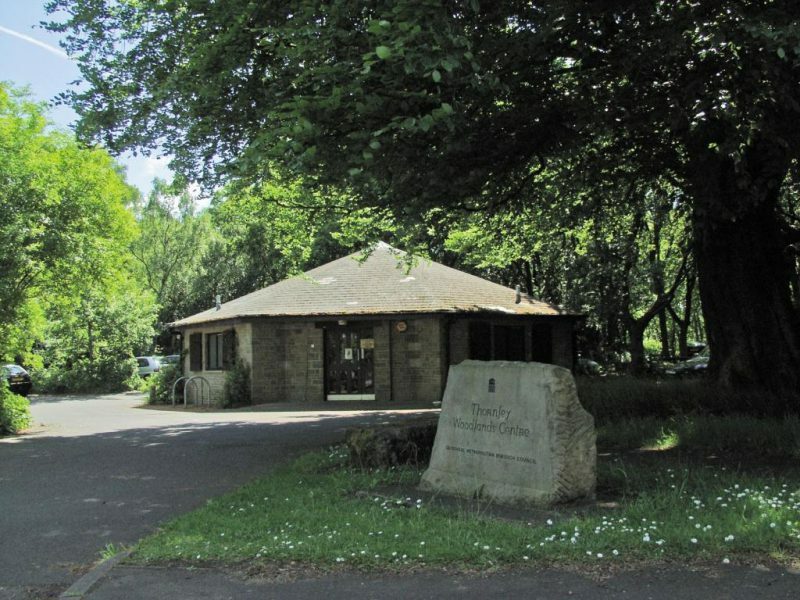 Thornley Woodlands Centre is within the ancient woodlands of the Derwent Valley that is home to many birds including green and great spotted woodpecker, nuthatch, and sparrowhawks. An observation hide is located within the woods with keys available for purchase from the centre. Walking routes from the centre are clearly marked including a circular route that takes in a number of sculptures carved from trees stumps including an otter and a red kite. A cosy cafe serves delicious locally produced and seasonal food, including healthy homemade soups, toasties and hot and cold drinks. Chopwell Wood is a beautiful mixed conifer and broadleaf wood, 10 miles south-west of Gateshead and covering almost 900 acres of the Derwent Valley, making it the largest woodland in Tyne and Wear. At Christmas time Chopwell has its own unique Christmas Experience between Saturday 25 November – 17 December, when you can choose your own tree from a wide selection of fantastic quality British-grown trees between 8am and 8pm. The atmosphere in the Wood at Christmas is really special and an enchanting escape from the hustle and bustle of the shops. 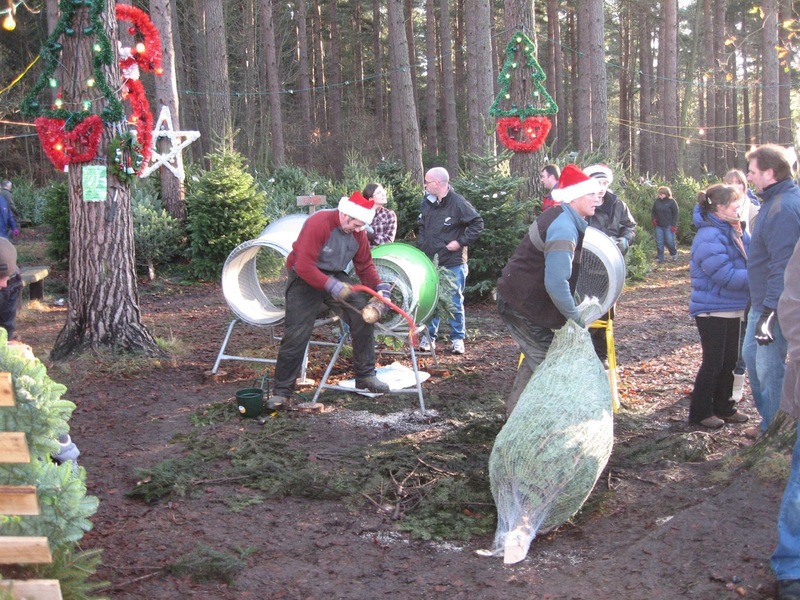 As well as thousands of great quality trees to choose from, the Chopwell Wood Christmas experience will include crafts, refreshments and much more, including appearances from the man in red and white himself! The proceeds of the sale of trees each year bring benefits to the Wood – these are used to fund improvements such as the provision of picnic tables; maintenance of the footpaths; development of the facilities such as the Forest Classroom; the addition of sculptures and other features; and conservation and restoration of woodland habitats. These funds also pay for a number of public events within the Wood each year. Buying a real tree also helps the environment – while growing these long-term crops add oxygen to our atmosphere and provide wildlife habitats. With 500 years of authentic heritage, history, heroes and habitats, there is a wealth of activities and exciting projects to explore. Rekindling local passion to enable this area’s unique combination of natural, industrial and cultural heritage to be conserved and enhanced. The Land of Oak and Iron is about celebrating the past while looking forward to a sustainable future. There are lots of opportunities to volunteer with events for Woodland Volunteers coming up on 23 and 30 October and to find out more you can also go along on 8 November to the Land of Oak and Iron Meet & Mingle, at Burnopfield Cricket Club. The evening will include music by Community Music Whickham & Swalwell, a hot supper and a quick round quiz on all things Land of Oak & Iron. 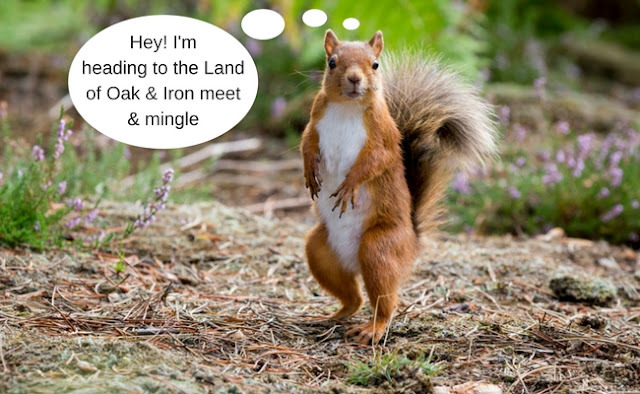 This will be a fun informal evening for people who are interested in the stunning Land of Oak and Iron. The tickets are priced at £5, and you can pay on the door or buy tickets in advance online. Here you can enjoy a free weekly run around the winding paths and open space at Gibside whilst taking in the beautiful views from Derwent Valley. Then post-event, why not treat yourself to a coffee and some bread at the onsite bakery! Children of all ages are welcome but under 11s must be accompanied (within arm's reach) throughout the run by a parent, guardian or appropriate adult of the parent's choice. Autumn blows in and the smell of woodsmoke and pumpkin spice hang heavy in the air. Time to draw close together and listen to tales of ghostly apparitions and headless horsemen! Find out all about traditions and customs associated with the ancient festival, and share in some delicious pumpkin-based foodie treats. Who says Halloween is just for children? Adults £5, children £2 (ages 12+ only please as there are some scary stories!). Book in advance. Gibside is made up of dark woodlands and plenty of hiding places for amazing creatures like spiders, bats, mice and frogs to live. This year's trail, which you can pick up from visitor reception, will take you on a journey to their favourite spots so you can see just how clever they really are and why they're essential in the world. The trail is free but admission to Gibside is required. Tuesday 24th October Session times are: 11.30am - 12.30pm; 1.00pm - 2.00pm; and 2.30pm - 3.30pm. Organised by Durham County Council this event is free but pre-booking is essential email: wasteaware@durham.gov.uk or phone 03000 266104. All children must be accompanied by an adult. Enjoy good company, good beer and good food at Gibside's Foodie Night. With a selection of stalls selling a variety of snacks and the resident butcher and baker cooking pizza and more, you are in for a tasty night. Free event and admission to Gibside is not required. Enjoy a twist on the usual feature night, Beer and a bite night, where Gibside welcomes local food producers who tend to enjoy Hallowe'en just as much as they do. Alongside the usual pub offering, delicious food and superb surroundings you can expect cobwebs, dressing up, fun foodie puns and live music from The Cherry Pickers. Join in the fun from 6pm in Market Place and treat yourself to a variety of delicious food. But don't be surprised if all is not as it seems.... Free event and admission to Gibside is not required. Boggles (or bogles) are Northumbrian ghastly spirits. Follow the trail to become a certified boggle buster! As the dark nights draw in, and the leaves fall from the trees, come and join in a walk around the Pont Valley, and get a sense of Autumn! Everyone is welcome on this free guided walk including families and dogs. It may well be muddy underfoot, please wear suitable footwear and clothing. The walk will last about two and a half hours and afterwards enjoy some free homemade broth, cakes and tea in the Community Centre. Children under 14 must be accompanied by an adult. There’s ample free parking outside the Community Centre itself, or in the main car park in the centre of the village. The renowned Christmas tree sales bring a wide selection of fantastic quality British-grown trees to the Wood. The atmosphere is magical and buying your real tree from Chopwell will help protect the Wood. On weekends there’ll be crafts, refreshments and much more plus Santa will be joining us on 2/3 and 9/10 December from 11am-3.30pm. Try the Elf Christmas trail and as you make your way around Gibside, be on the lookout for things that don't look quite right. You see, although the elves were extremely helpful they have made a few mistakes. Can you spot them and help to put things back in order? Come and meet Father Christmas during his visit to Gibside this December. He has made a special journey from the North Pole to be here and his elves have even helped to set up a magical grotto. Create special family memories this year by making your way to Father Christmas' magical grotto nestled within Gibside's gardens. Enjoy a chat with the main man himself, and even receive an early Christmas gift. £8 Booking essential. Leave the busy city centre behind and join us in a relaxing 600-acre garden. From 10am there will be a variety of market stalls offering appetising seasonal foods and high-quality crafts. It makes the perfect winter day out. Festive Markets are ideal for meeting friends and catching up over mulled wine, and of course some retail therapy. There's nothing better than hearing a traditional concert band to immerse yourself in the Christmassy mood, and experiencing it by candlelight in a Palladian chapel only adds to that warm feeling. From 7pm, you can relax and hear the North East Concert Band perform a range of music, all by candlelight. While you're inside, there's history all around. The rare three-tiered pulpit and inside the dome features a hole, where it's possible that a candelabra may have been lowered and raised using a pulley. During the interval mulled wine and mince pies will be served. Wrap up warm and join us in Gibside chapel for a performance of traditional carols performed by the North East Gospel Choir by candlelight. This special candle-lit performance will include an acapella repertoire of popular carols and Christmas music. During the interval, mulled wine and mince pies will be served. What are you looking forward most this Autumn? It really is lovely and so much better than I remember it as a child. I've never heard of this area being called that before-learn something new everyday!! some fab events listed! Its a new Landscape Partnership - it wasn't called that when I was little. It's lovely over there. And so close too.